De La Rue prides itself on operating to the highest ethical standards and strong practices, and takes seriously its responsibility to manage the business in an ethical way. Working within a robust ethical framework, De La Rue's commitment to doing the ''right thing'' every time is embedded throughout the organisation. In 2013 an Ethics Committee was established, with all non-executive directors as its members. This Committee is responsible for advising the board on the development of strategy and policy on ethical matters. We were one of the founding companies of the Banknote Ethics Initiative and were proud to be amongst the first to be accredited in February 2014. 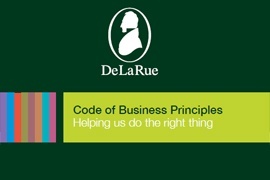 De La Rue is proud to support the Institute of Business Ethics. 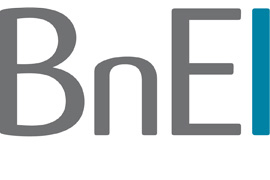 This IBE was founded to encourage high standards in ethical behaviour and is supported by donations from companies and individuals. 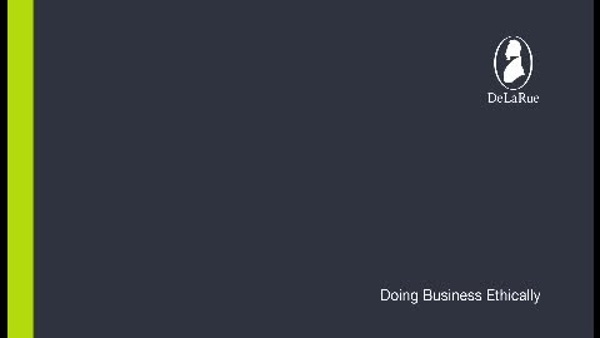 Through our donation we help promote ethical business practice and add to the work of the IBE through the sharing of good practice and their experience of ethical issues.